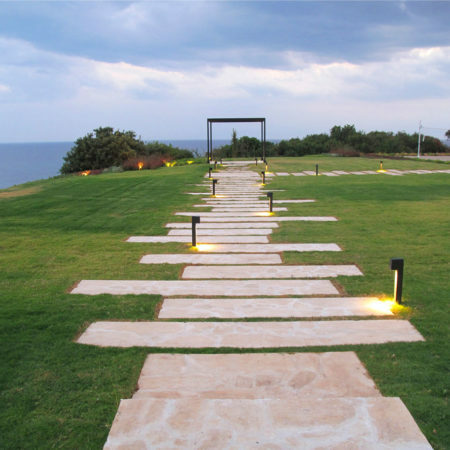 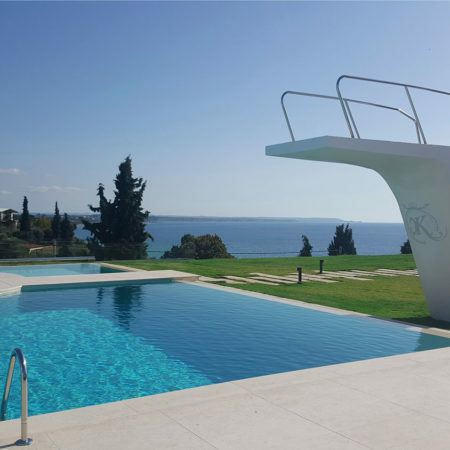 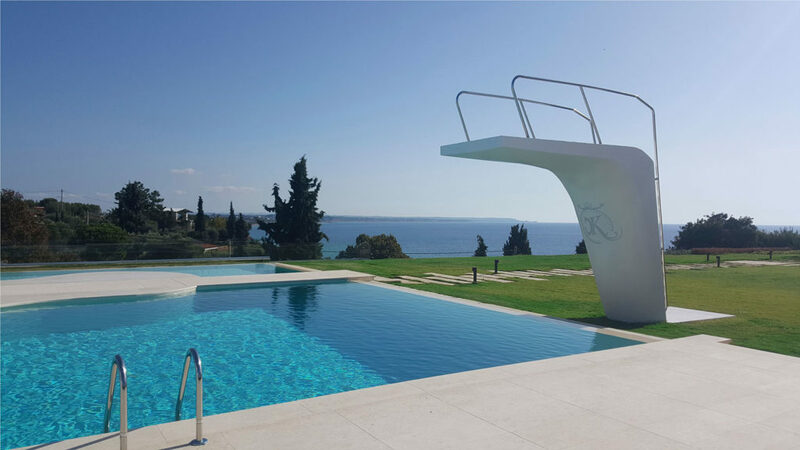 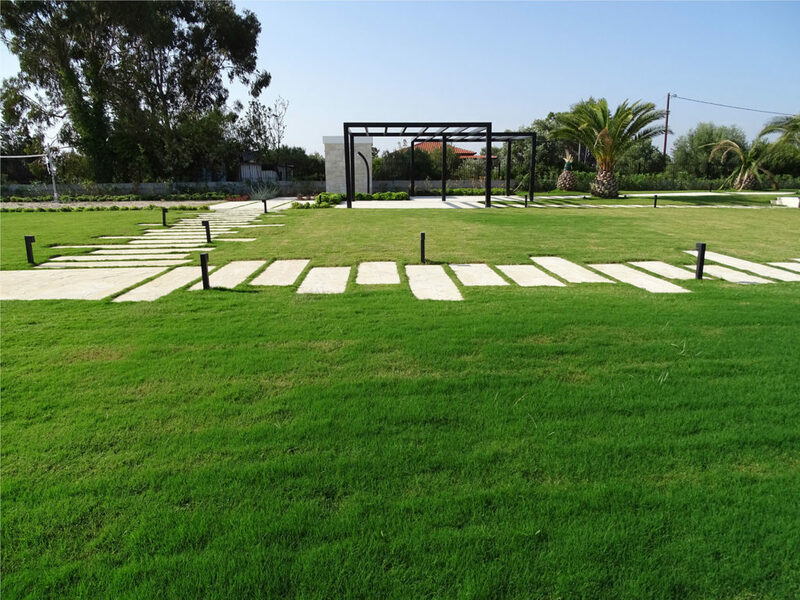 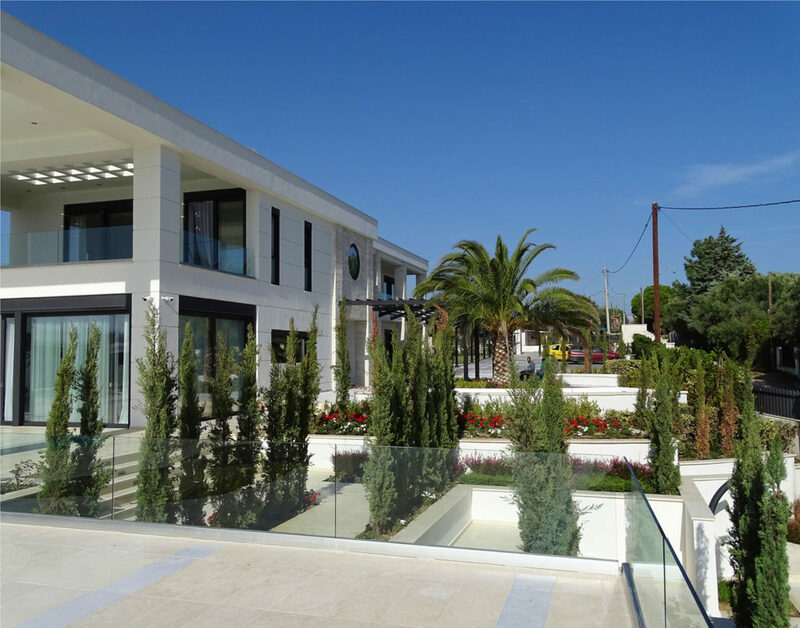 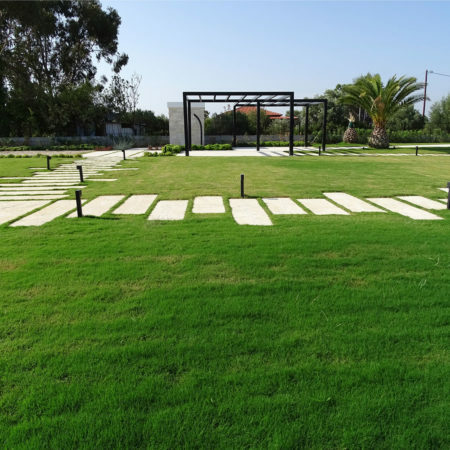 LANDSCAPE – ROIDIS office was asked to undertake the complete architectural and landscape design of a luxury villa in Nea Moudania, Halkidiki. 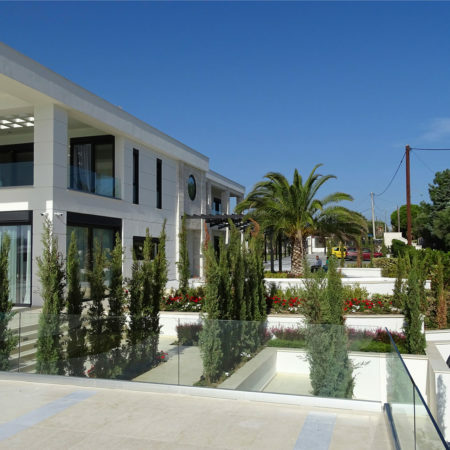 It is a 3-storey building and the site has a total area of 6000 square meters. 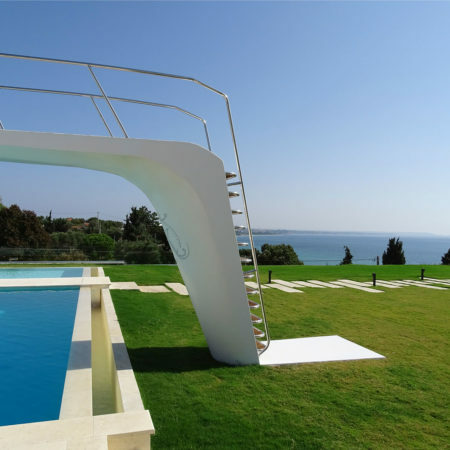 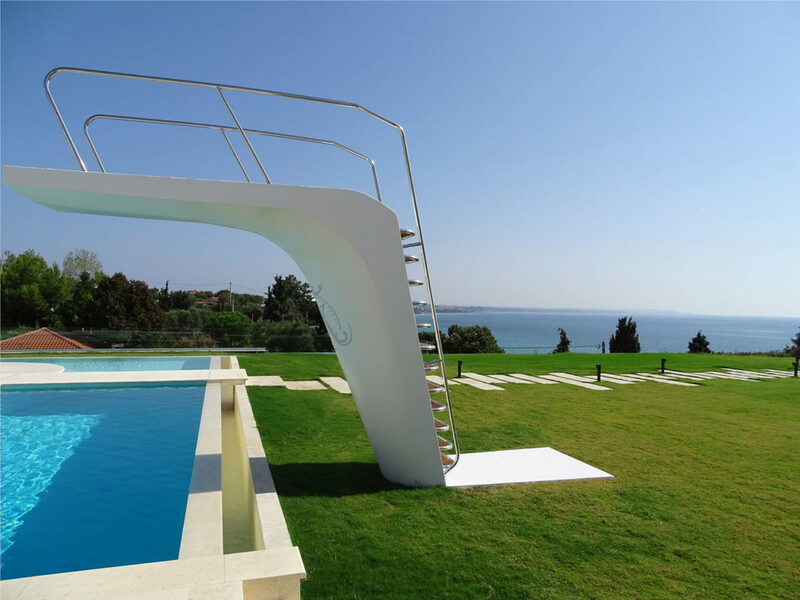 The primary requirement of the owner was to have a clear view to the sea. 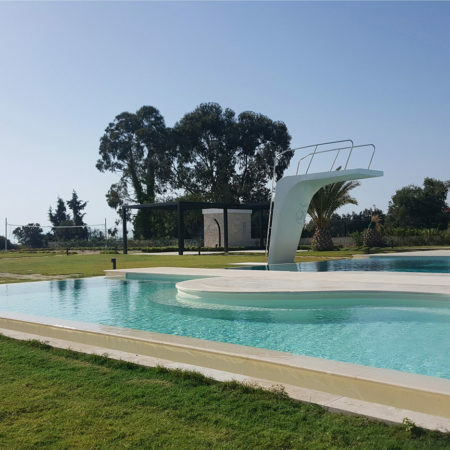 Thus, on the small side of the rectangular villa the main areas are placed and in order the infinity pool to be in direct contact with the living room. 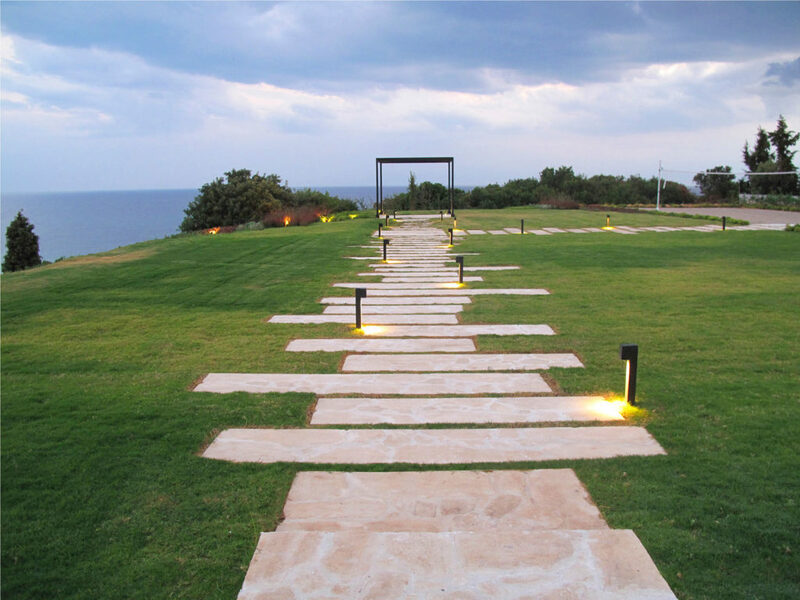 Only a few elements obstruct the direct view to the sea. 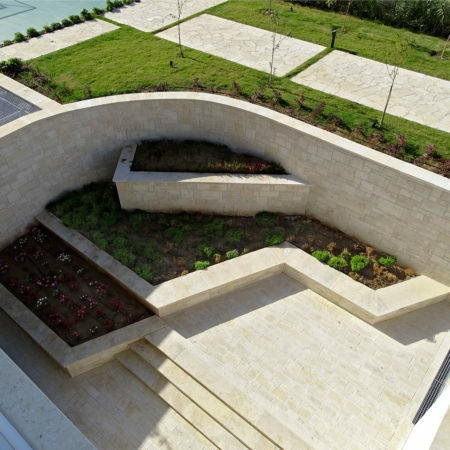 The building consists morphologically of two volumes which identify the functions inside. 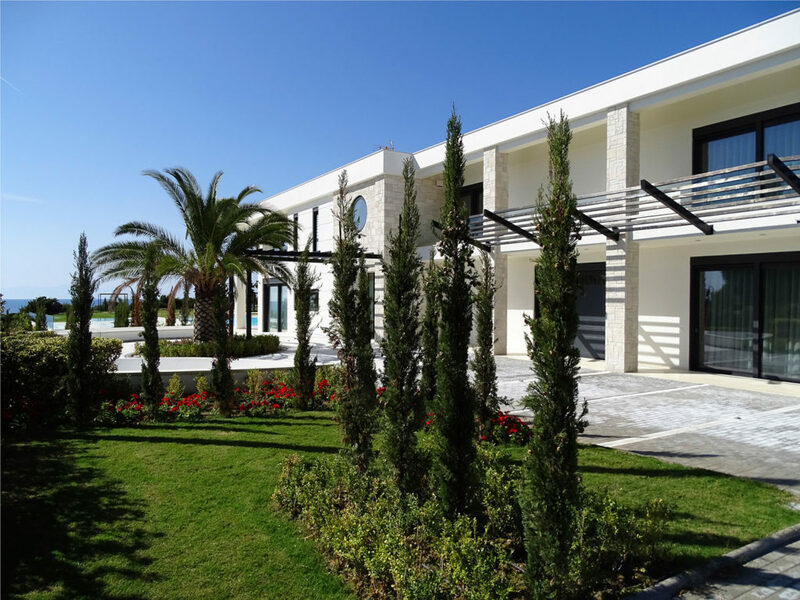 At volume closer to the sea the living room and the everyday uses are placed, whereas the master bedroom is located on the first floor. 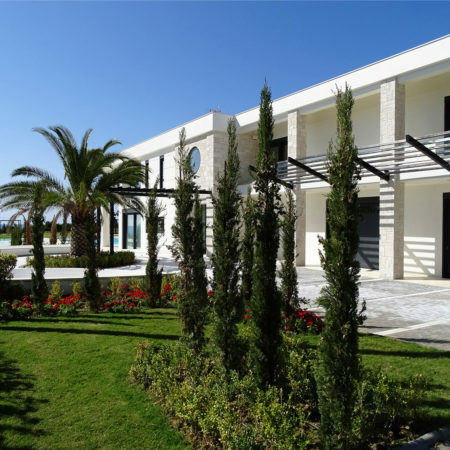 The second volume consists of 4 independent mini suites. 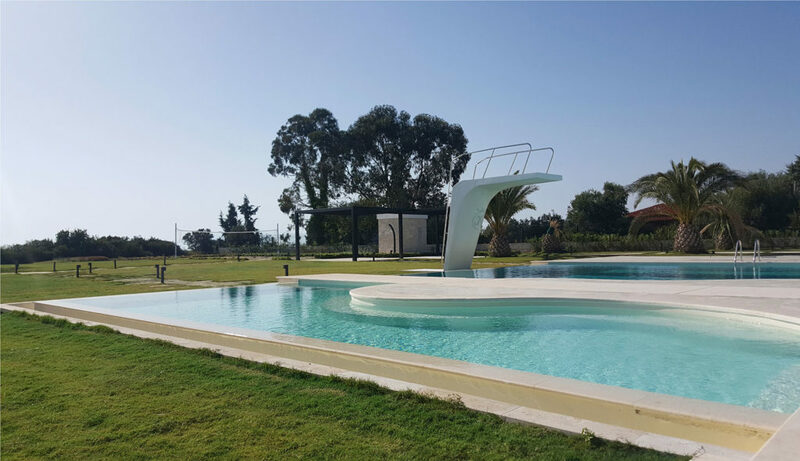 The roof is supported by two 8-meter long emblematic circular columns that balance the scale of the 50-meer long swimming pool which is located right in front of them. 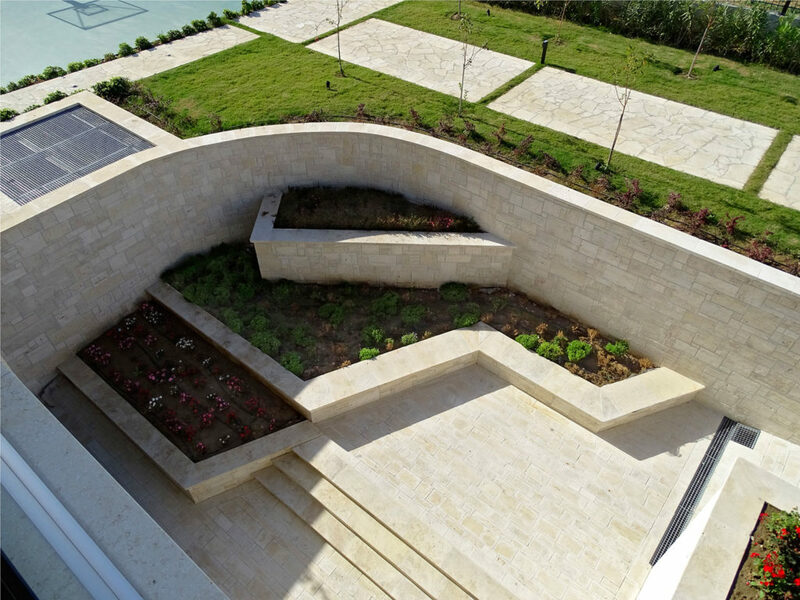 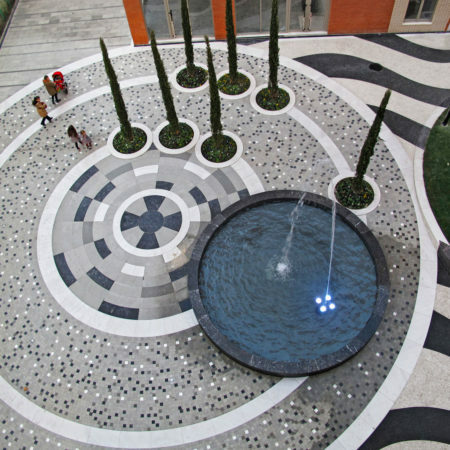 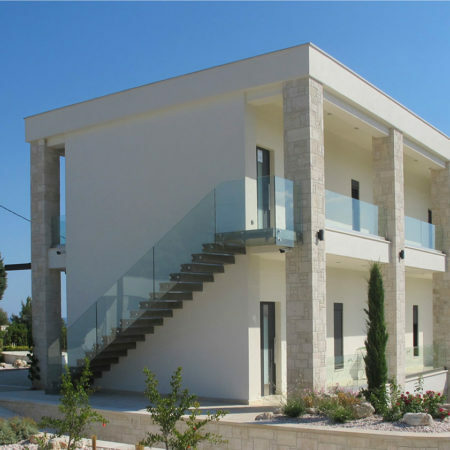 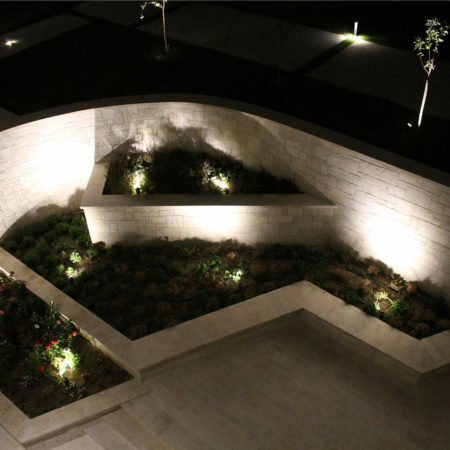 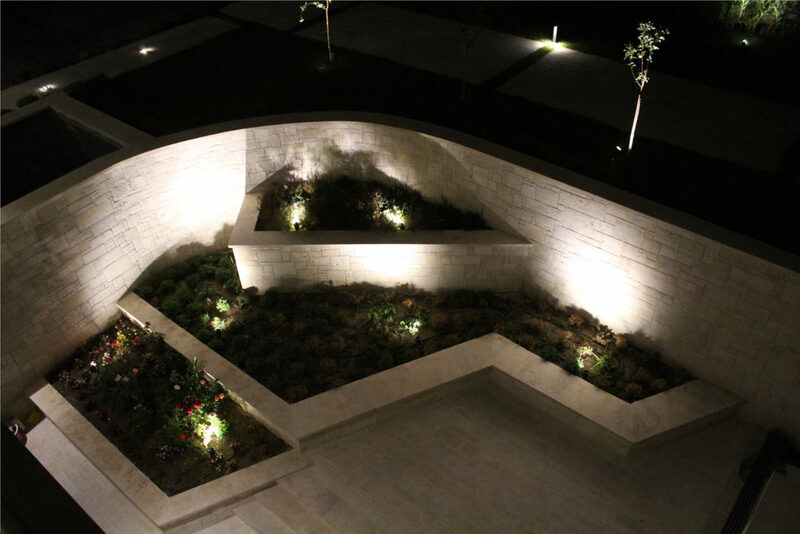 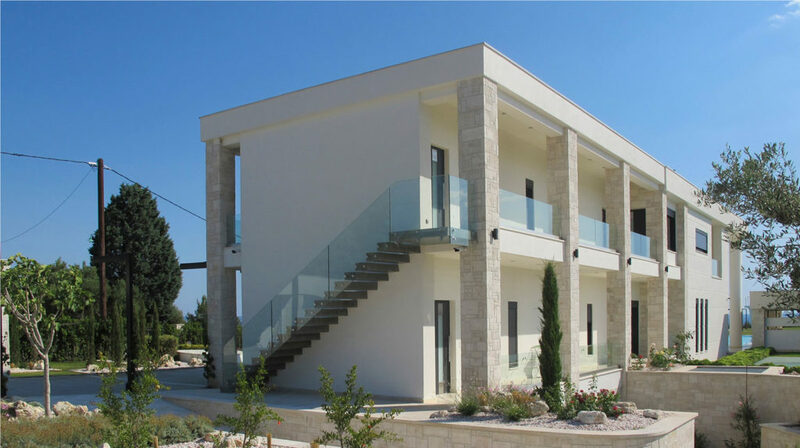 The combination of the local Afytos’ stone and plaster are the façade’s main structural elements and which are perfectly combined with the flooring of the exterior areas (Afytos’ stone, pavers and marble). 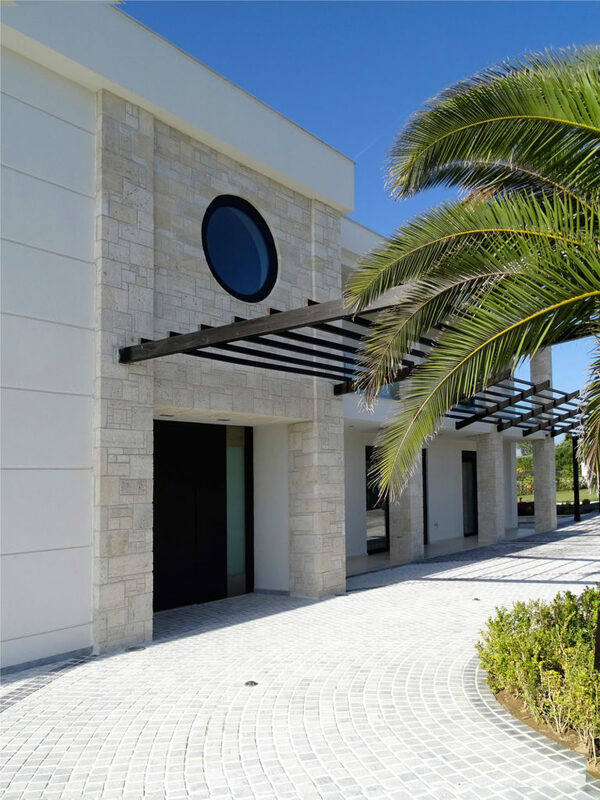 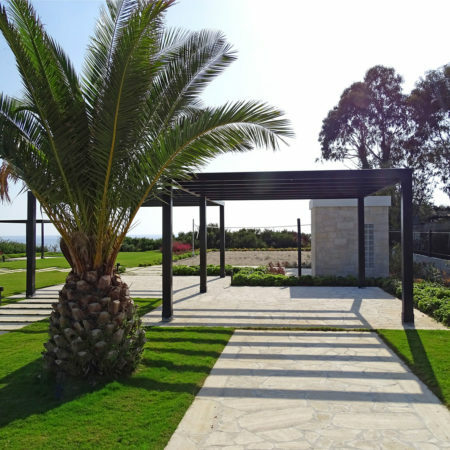 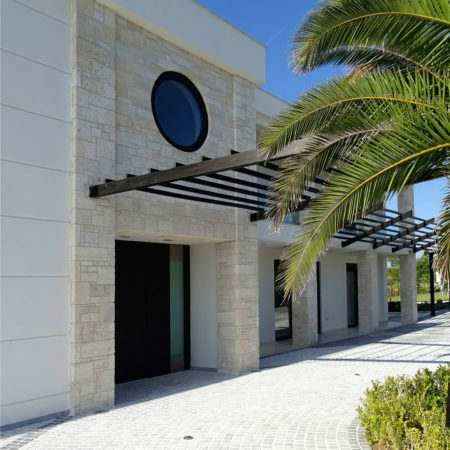 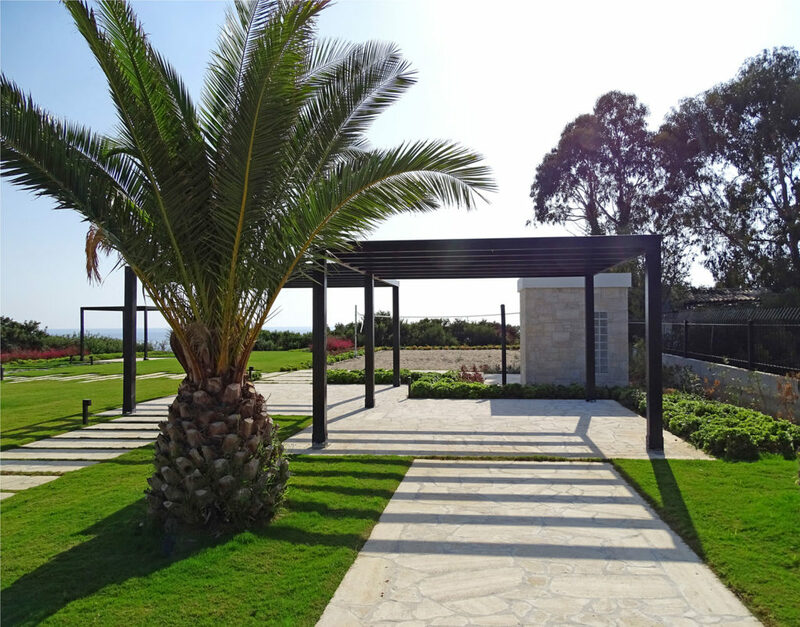 The entrance of the villa is marked out by a round-about and a wooden pergola, while the linear plantings and the intense use of cypress trees and other planting elements respond to the strict architecture of the residence.